Have you found that your VW Passat is running a little rough? Or does the engine light keep coming on? If so this could be due to the Bosch VP44 Diesel Pump that is found fitted on VW Passat vehicles with the 2.5 TDI V6 Engine built between 1998 – 2003. This EDC module is known to fail a specific way due to the hybrid technology behind the design, causing it to cut out and not start at all. Any of the above symptoms can be directly linked to the Diesel Pump EDC, and getting it tested by a local garage is always advised to make sure. If you find that it is faulty, then your options are either get a brand new replacement unit as it is not possible to normally buy separate parts, which can work out be quite costly when additional labour, programming and coding costs are added to the bill. This will also only generally come with a 12-month warranty. The other option is to purchase a second-hand unit which will obviously be a lot cheaper, however, again would require labour, coding / programming at an extra cost and will more than likely only come with a 60-90 day limited warranty. Here at Sinspeed we have the facilities to completely bench test your Electronic Diesel Pump on our latest diesel pump test rig, allowing us to communicate directly with the EDC unit to test all functions and highlight any fault codes. We have had so many Bosch VP44 EDC’s in our workshop to date, we have managed to identify that the majority of the faults lie in the Electronic Diesel Control Unit and not in the mechanical part of the diesel pump, and carrying further soak tests allows us to highlight not only the more common problems but also any intermittent faults. My VW Passat Bosch VP44 EDC Pump is Faulty – How can Sinspeed Help? Here at Sinspeed, we carry out full repairs on your Electronic Diesel Pump using only genuine OEM components, whilst upgrading any internal components that are the initial cause of the failure. This ensures that all repaired Bosch VP44 diesel pumps are rebuilt to the highest standard ensuring that they meet and exceed OE specifications, and also come with our Lifetime Warranty. 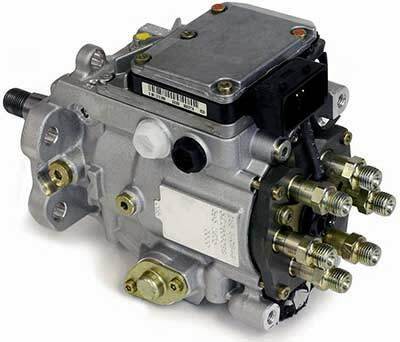 Diesel pump repairs generally have a turnaround time of 3-5 working days, and no programming will be required when the unit is returned, as it is fully plug & play! Note: The Bosch VP44 EDC unit is equipped with hybrid technology which can be damaged easily if not opened by a skilled professional who is experienced in hybrid EDC repairs. Removing and fitting the Bosch VP44 diesel pump is a very involved job and here at Sinspeed we offer professional fitting services should this be required. We have listed the most common Bosch VP44 EDC part numbers found on the VW Passat below. If you find that your part number is not listed on here, give us a call on 0203 815 9441 and we’ll be happy to check for you! Tags : VW Passat Diesel Pump EDC Rebuilds, VW Passat Diesel Pump EDC Repairs, VW Passat Diesel Pump Problems, VW Passat EDC Faults, VW Passat EDC Repair.